Just after 4 PM on Thursday, January 2, the Seattle Police Department reported that a bank robbery had taken place in the 6400 block of Roosevelt Way NE. Anyone with information about this incident or who may know the identity or whereabouts of the suspect, please call 911 and refer to this incident. Anonymous tips are welcome. We’ll update this post with more information when we have it. UPDATE (5:36 PM): The Seattle Police Department Blotter has a post up now about the robbery, which includes a couple more photos of the suspect. UPDATE (6:18 PM): Adding in the evening’s TV news coverage of the sentencing today, when it becomes available. Q13 FOX News (no embedded video here due to autoplay). 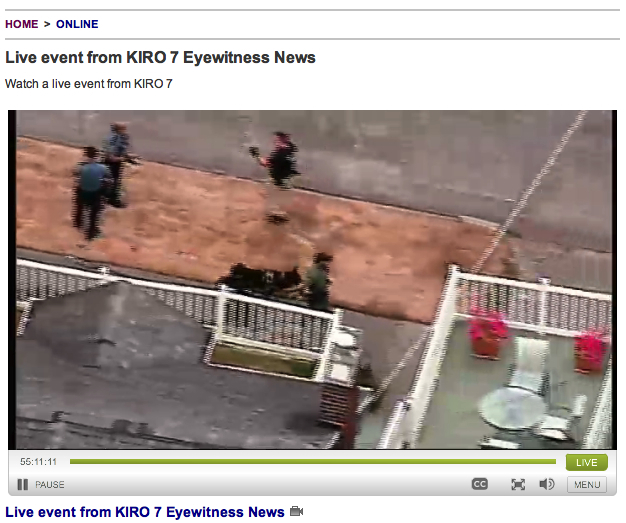 KIRO 7 News’ footage on the story from their 5 PM newscast. At a hearing this morning at the King County Courthouse, Mark Mullan pleaded guilty to all charges against him for the DUI crash on March 25 that killed Judy and Dennis Schulte and severely injured Karina Ulriksen-Schulte and her newborn son, Elias. 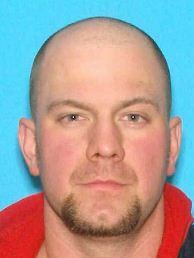 Mullan was charged on April 11 with two counts vehicular homicide, two counts vehicular assault, and one count reckless driving. He entered a plea of not guilty at that time. Under the plea deal, Mullan would face a range of 14-18 years in jail. Sentencing is scheduled for November 15. #BREAKING Prosecutors and Mullan’s attys agree to just over 18 years in prison for all 5 counts. Dan Schulte and his sister, Marilyn, were at the hearing, and will speak to reporters after. We’ll add footage here when it becomes available. Dan and Marilyn Schulte give a statement to the media after this morning’s plea hearing. King County Prosecutor Dan Satterberg stands behind them. Photo courtesy @joshtrujillo. Guilty Plea in State v. Mark Mullan: Repeat drunk driver Mark W. Mullan pleaded guilty this morning as charged to four felony charges for a drunk driving collision that killed two grandparents and seriously injured their daughter-in-law and infant grandson in Seattle’s Wedgewood neighborhood on March 25. Mullan pleaded guilty to two counts each of Vehicular Homicide (DUI) and Vehicular Assault (DUI), and violation of an Ignition Interlock Device order. 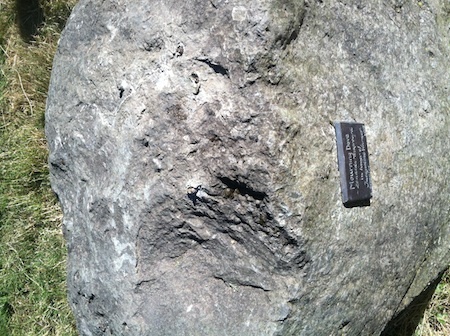 The collision killed Judy and Dennis Schulte. Their daughter-in-law Karina Ulriksen-Schulte and grandson Elias, who was 10 days old, were seriously injured are still recovering from their injuries. Mullan, 51, faces a sentence range of 14 to 18 years in prison, which includes a 24-month sentencing enhancement stemming from his prior conviction for drunk driving in Seattle Municipal Court. Prosecutors will recommend a top of the range sentence of 18 years in prison when Mullan is sentenced on November 15 at 1:45 p.m. before Judge Barbara Linde at the King County Courthouse. “This heartbreaking case led to some overdue changes in the law, thanks in part to the courage of the family,” said Dan Satterberg, King County Prosecuting Attorney. “The defendant today pled guilty as charged to the top end of the sentencing range,” he added, “and the plea brings finality and closure to the case, and will keep the defendant in prison, and the public safer, for many years to come,” he said. Satterberg along with other county prosecutors pushed for tougher sentences for vehicular homicide (DUI) in the 2012 legislative session. The Legislature approved a bill that doubled the standard range for vehicular homicide (DUI), making it equal to a sentence for manslaughter first degree. Under the old range, Mullan’s sentence would have been approximately 7 ½ to 9 ½ years instead of the 14 to 18 years that he faces today. On Tuesday at 8:35 AM, Seattle Police and Fire units responded to a shooting at approximately 26th Avenue NE and NE 55th Street. Above: Tweet by KOMO News Radio reporter Jon Repp from near the scene of the shooting (looking east down NE 55th Street). A man was shot in the wrist and femur (per scanner), and transported to Harborview Medical Center. His condition is unknown at this time. There was some confusion early on about the make and model of the suspects’ vehicle, but SPD is now calling it a “newer black Toyota Corolla,” per scanner. We’re awaiting word from SPD on descriptions of the suspects. Nearby Bryant Elementary School went into “shelter-in-place” mode: Students were allowed inside and school continued as usual. Assumption-St. Bridget is in “modified lockdown at this time. Police activity is blocking Routes 30 & 74 on NE 55 St between 26 Av NE & 28 Av NE. Reroutes in process. Expected to be awhile. Police: Ravenna shooting victim was targeted by two suspects. Looking for dark colored sedan. Victim has life threatening injuries. @KIRO7Seattle Ravenna/Bryant shooting: Witness and friend of victim says he heard 5 shots. Says his friend was hit in arm/hand and leg. We’re expecting homicide detectives to be at the scene for some time, and that parts of NE 55th St and 26th Ave NE will also be closed for some time. Haven't found weapon on scene (yet). Checking to see it suspects dumped it anywhere. Even checking with USPS to look in mailboxes. UPDATE (1:14 PM): The Seattle Times is reporting that the victim works at Manning & Son Upholstery (2610 NE 55th Street). He and is son (recently brought on to learn the trade, reports Alexa Vaughn) were on their way into the upholstery shop when the shooting occured. 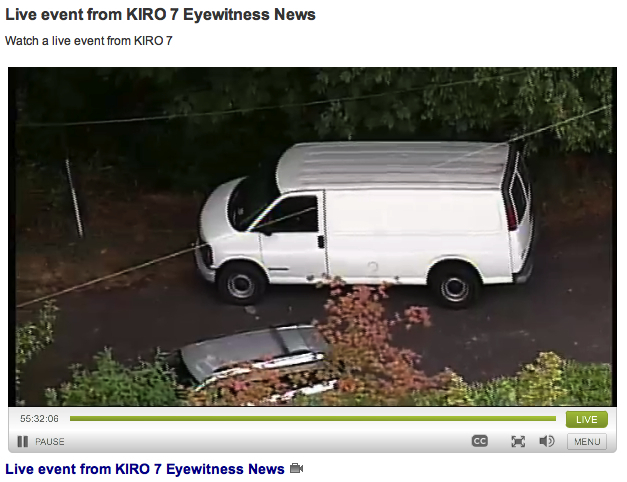 Joel Moreno, a reporter at KOMO News, is reporting that the victim is in surgery. UPDATE (2:33 PM): KING 5’s Elisa Hahn reports via twitter that the victim is out of surgery and in ICU. His condition is listed as serious. 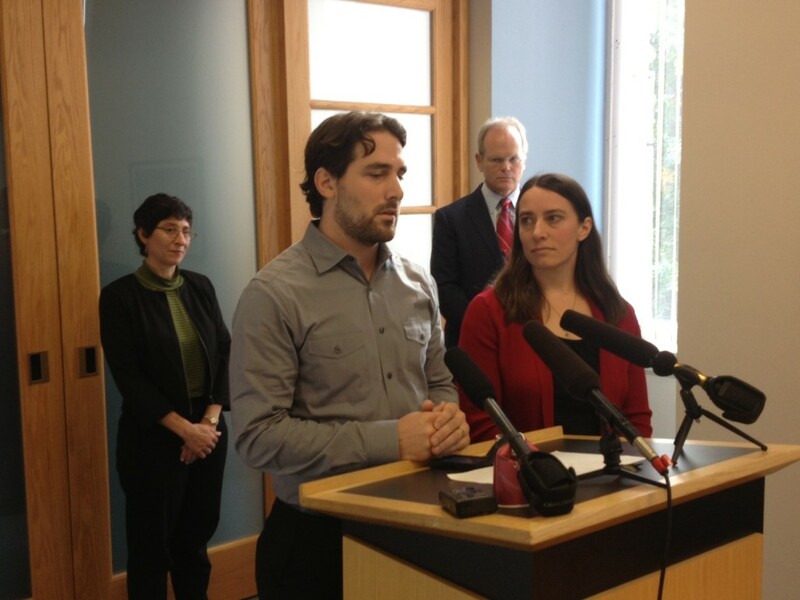 While Wednesday’s joint Mayor’s Office/Seattle Department of Transportation press conference was held at the intersection of last March’s DUI tragedy, the topic was overall street safety along NE 75th St and the SDOT proposed street design changes. The next day, however, Washington State Governor Jay Inslee signed DUI legislation (SB 5912) into law down in Tacoma at the Washington State Patrol District 1 headquarters. 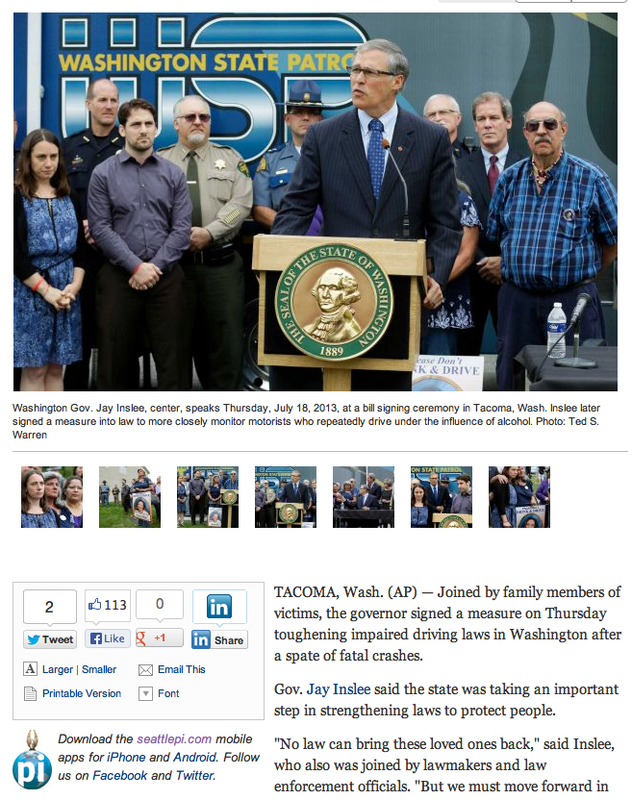 Screen grab from SeattleP-I.com’s coverage of Governor Jay Inslee signing new DUI legislation into law. Click through to read the whole article, and see more photos from the event by Associated Press photographer Ted S. Warren. Dan and Marilyn Schulte both attended on their family’s behalf, and were joined at the signing by over a dozen legislators and law enforcement leaders, as well as family members of a woman killed by a drunk driver in 2010. The state also will begin a pilot program in as many as three counties and two cities not in those counties to conduct daily alcohol monitoring of anyone convicted twice under the DUI law. Additional money will be put toward ensuring that local jurisdictions prosecute and punish more offenders more quickly. The final version of the bill was passed unanimously by both the House and Senate. Most of the law will go into effect on September 28 of this year; however, the monitoring program and a few other components will not go into effect until January 1, 2014. Video of the bill signing event was broadcast live by TVW, the “C-SPAN of Washington state” (our words), and also available below. Dan Schulte begins his statement at about the seven minute mark. Pika statue from Ravenna Park playground. 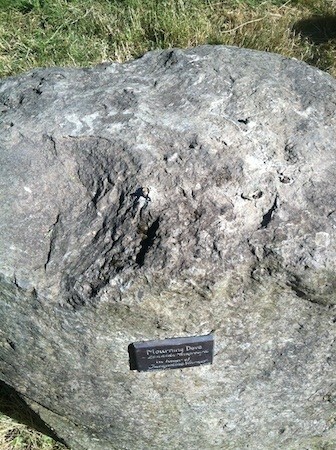 Used with permission from Seattle Parks and Recreation. 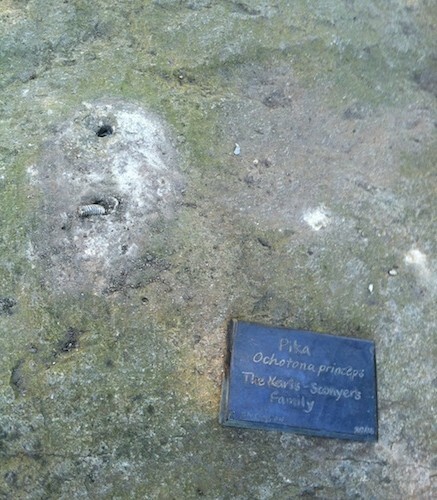 …there is naught but a hole, a bent screw, and the name of the missing critter and her donor family. 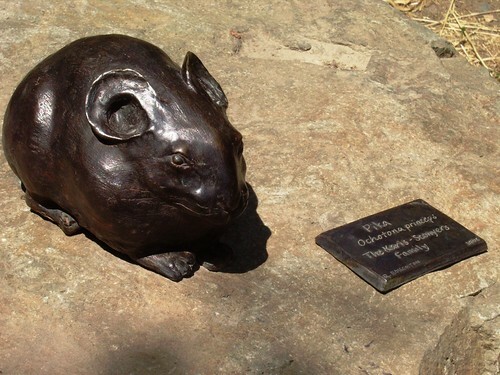 Of the eleven bronze animal sculptures that have graced the Ravenna Park playground since 2008, four reportedly went missing over the weekend: Two pika, a deer mouse, and a mourning dove. My girls informed me today [Monday, June 17] that four of the small animal statues are missing from around the Ravenna Park playground. They noticed yesterday (Sunday) that they were gone. I walked over the the park about an hour ago, and it looks like two pika, one deer mouse, and one mourning dove were cut from the rocks. All the missing pieces were along the upper sidewalk area, the one that passes directly in front of the little maintenance building. Each [sculpture] was custom made for its location, and were a gift to the park, in commemoration for the extensive time and money that several families made to ensure that the playground was renovated. Sconyers says she has called several local metal recyclers to make them aware of the thefts, and to keep an eye out for the sculptures. 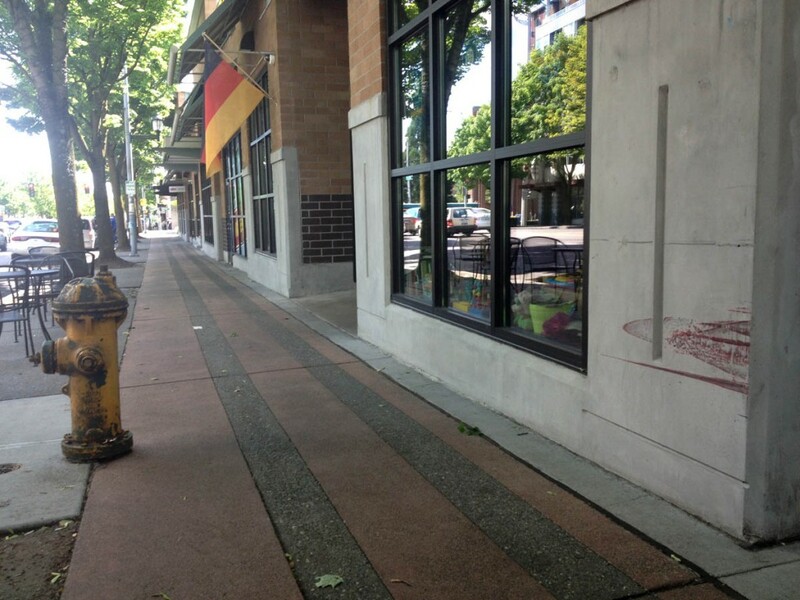 Seattle Parks and Recreation’s Joelle Hammerstad tells us that Parks has already contacted the artist, Rachel Boughton, about possible replacements if the stolen animals are not returned. Good news: The artist still has the molds. You can see all of the animals that artist Rachel Broughton (Flying Dog Press and Gallery) made for the playground here. You can view the Friends of Ravenna Playground site here, thanks to the Internet Archive’s Wayback Machine. The playground was renovated with money from grants and fundraising, and reopened with new play equipment in 2007. 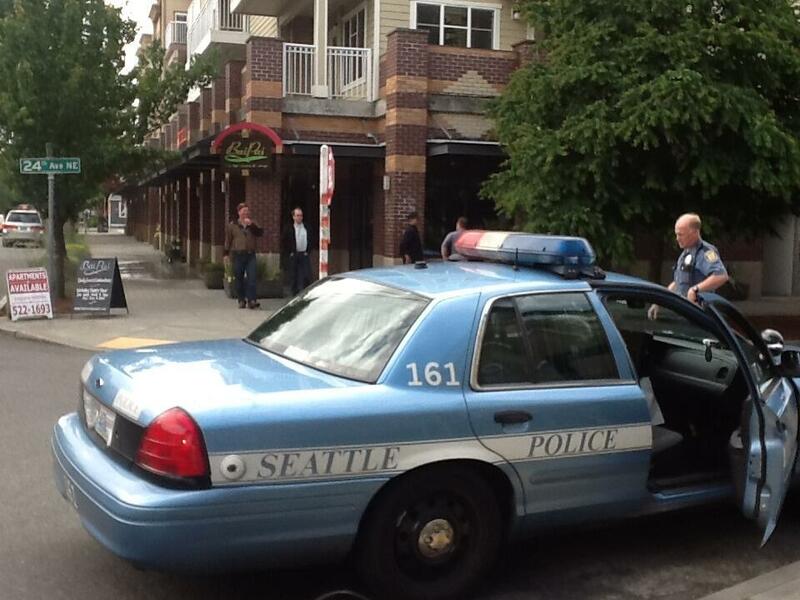 Just before 5 PM on Thursday, May 30, Seattle Police Department officers responded a restaurant burglary in Ravenna. An officer at the scene of the burglary returns to his vehicle after interviewing a group of eyewitnesses. Police pursued the car north into Lake City (via, in parts, 35th Ave NE and Sand Point Way NE) before calling off the chase as the vehicle drove on a sidewalk to continue the escape (per scanner). A short distance later, however, the occupants of the car had left the vehicle and were observed fleeing through yards. One male suspect was arrested near the 13000 block of 26th Avenue NE. 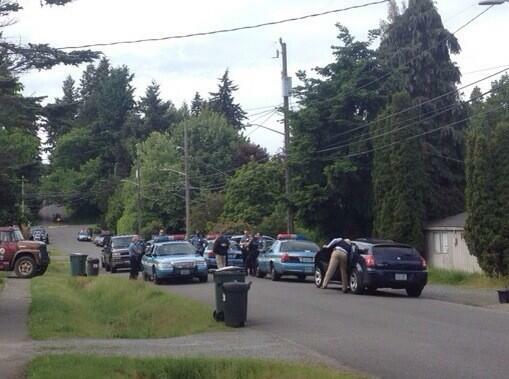 Scene near of the arrest of one of the suspects (at 25th Ave NE near 127th St NE). Photo courtesy Lake City Live. At least one suspect is in custody at this time, says the Seattle Police Department’s Blotter page on the incident. Police may be looking for one or two more. More information here when we have it. Preliminary investigation indicates that two adult male suspects entered the back door of a restaurant and stole an employee’s backpack full of personal effects. Several employees chased the suspects, who ran to a stolen vehicle and made their escape (this event was reported to police as a robbery). Also in the report: The getaway car was a stolen vehicle, both suspects are in their 20s and are the ONLY suspects, and no one was injured. An alert neighbor that was watching the events unfold on the Seattle Police Department’s Twitter feed in an exchange with Ravenna Blog, happened to be on the phone with his wife when a bleeding man wandered into their yard. She told him about the man in their yard and the husband, who was not home, immediately told her to call the police when he realized via Twitter that the chase was in his neighborhood. The woman gave a description of the bleeding man to a dispatcher and then officers with guns drawn quickly apprehended the man who was at that point casually walking down the street on his cell phone. After it became known that Mark Mullan, the suspect in the March 25 DUI/homicides on NE 75th Street, had a connection to the North Seattle Baseball Association, NSBA President Chris Medina emailed parents in the organization about Mullan’s role. We asked Medina if we could publish this message here, for the wider Northeast Seattle community, and he agreed. Medina also said he has received a tremendous outpouring of support from league members and the community in support of the league, and offers of support as volunteers since the event. The date of this letter is March 26. On Monday, tragedy struck our community when a driver struck several pedestrians on 75th in front of Eckstein Middle School. The NSBA Board of Directors extends our deepest condolences to the families of the 2 people who lost their lives, and to the 2 people who were critically injured. We cannot put into words the sadness that all of us in the community are feeling right now, but I felt it important to reach out right away to communicate openly so as to offer at least a gesture of caring and respect to our community. The board of directors was mobilized early [Tuesday] morning. We asked our commissioners to communicate with their coaches in order to be prepared to talk to their players and parents about the incident, so that we can be able to have the dialogue that perhaps some families and players need in order to cope with the situation. You may have read the newspaper or saw in the news the references to NSBA. Mark Mullan, the driver of the vehicle that struck the pedestrians was wearing an NSBA sweatshirt at the time of the accident. While I do not know him personally, he is a former coach and former board member, but is not one of our current coaches or volunteers for this season. Mr. Mullan did not return as a coach to the league after last year, and it has been several years since he was a board member. We are in touch with the press, and we ask that all press inquiries be directed to me, or to the board. As many of you know, we take coach (and player) conduct very seriously in our league. We highlighted a stronger stance and policy on policing coaches behavior at the outset of this season’s preparation and was again emphasized during our mandatory coaches training last month. As an all-volunteer organization, driven by you all, our membership, we focus very carefully on the player/child experience as well as on coach and parent experience. That means we must often rely on parents, coaches, and each other for reports on incidents that may have occurred. We have a disciplinary review committee that is formed according to our league by-laws, and we actively police each other. At any time, for a given action committed on or off the field, any volunteer can be dismissed for his/her conduct, or if in fact the league disciplinary review committee decides that as a proper course of action. Our biggest concern is the kids well-being. Additionally, every head coach and assistant coach in our organization must submit their personal information as part of a criminal background questionnaire. This is a required action every season. Additionally, we take this a step further by submitting that information for every coach to the Washington State Patrol background check services called WATCH, a special service that has been offered to us at little or no cost, as we are an all volunteer non-profit organization. This is currently in progress, and is unfortunately a very manual process, so if you would like to assist to help us accelerate the process, please let us know as we would welcome the assistance at this very trying and busy time. Again, our thoughts and prayers are with the families affected by this tragedy. For further questions, you may contact the North Seattle Baseball Association here: contactnsba@gmail.com.